I have a vintage Fender Cornado II that I am trying to find a case for. My current case is splitting on the top and it has not manufacturer's marking for me to tell what it is other than "Made in Canada". 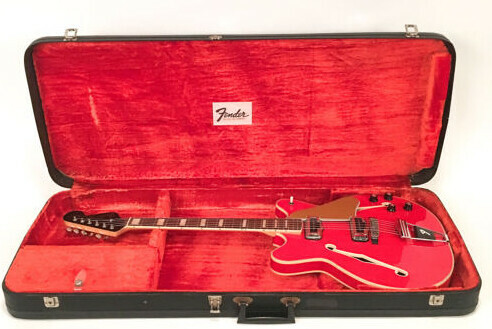 I have hear some people say an ES335 case would work and some who say it won't. What do Fender recommend for the reissues? I have done some searches and come up empty. Guardian CG020HD case. I might have located one on Craigslist assuming it works. The original factory cases were quite unique. I had this thought as well be nothing I have found on the interwebs yet. awww.....do we not own the domain anymore for fuckoffsetguitars? ?? If it's made in Canada, it's most likely G&G. G&G has made cases for Fender for decades, and was founded by former employees of Victoria luggage co., which Fender also used in the 60s. Their website doesn't have much to offer, so you're probably better off just calling and asking if they make a case that will fit a Coronado. TKL is another good bet. The one you have now doesn't look that old to me. 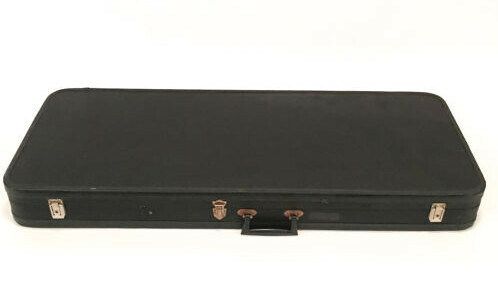 From what I could find, apart from the molded cases (very rare), Fender only ever used rectangular hard shell cases. And by the mid 60s they all had that reddish-orange interior like the one you posted. 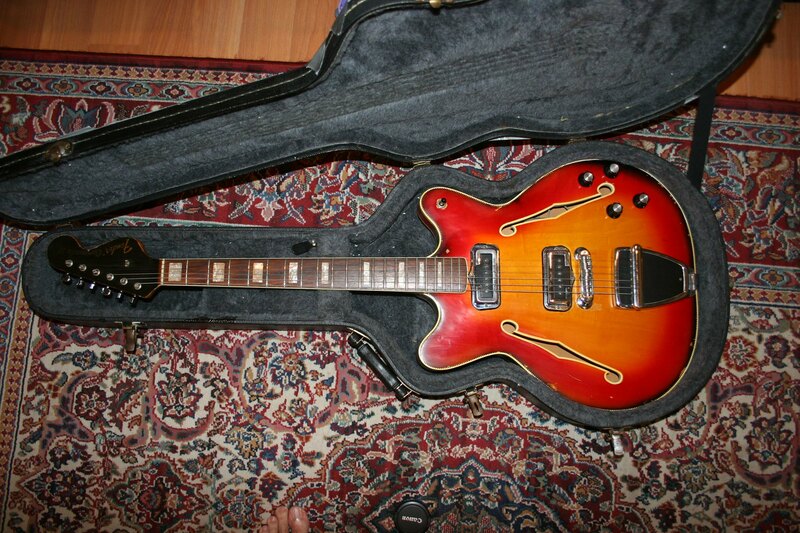 That aside I'd first try taking it to a store that sells cases for 335-style guitars and see if it fits. If you're not looking for period-correct, that'll definitely be the cheapest option. I'm pretty sure mine is a generic 335 case, but it fits perfectly. It'll also hold a Starzaster, if that ever needs to happen. There's not a word or a number on it anywhere, so that's about all I know about it. Oh, it's black.